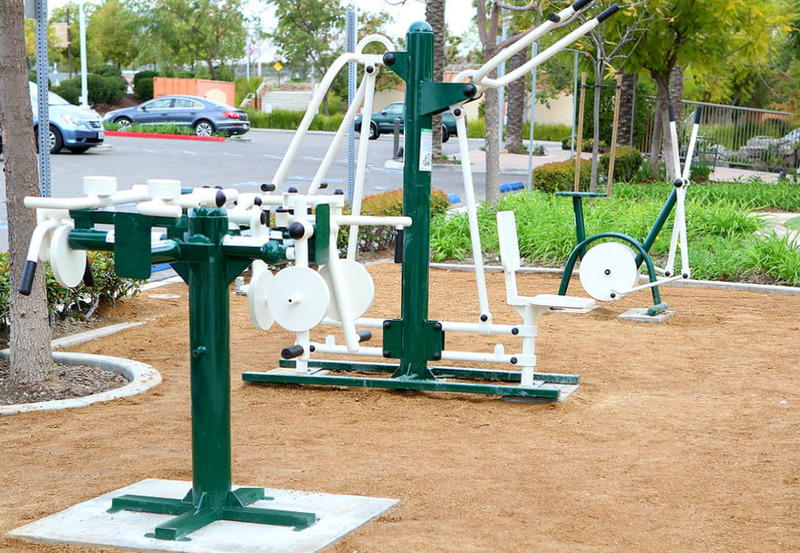 Saddleback Church has chosen Triactive America outdoor fitness equipment to assist it's congregation and the surrounding community in it's commitment to better health. Saddleback Church is promoting a healthy lifestyle with it's "Daniel Plan," a free 52 week health program with the goals "to feel better, be stronger, think sharper, and look better a year from today." Boasting a true promise of “something for everyone”, Saddleback Church is a community of over 200 ministries focused on maintaining both the spiritual and physical health of its members. Its founder, Pastor Rick Warren, is the author of The Purpose Driven Life, the bestselling hardback in American history, with over 30 million copies sold worldwide. Like others of its size, Saddleback Church offers plenty of variety in worship services, outreach, support programs, seminars and networking opportunities. Recently though, a significant addition was made to the main campus located in Lake Forest, CA. Outdoor exercise equipment from industry leader TriActive America was installed the first week of April in conjunction with the church’s Daniel Plan, a 52-week fitness and nutrition program aimed at promoting healthy lifestyle changes. The Daniel Plan, which has been developed by some of the most recognizable names in the medical field, Dr. Daniel Amen, Dr. Mark Hyman and Oprah confidant Dr. Mehmet Oz, integrates expert advice with monthly webcasts, optional menu planning, and of course, exercise. This well-rounded approach made TriActive America a natural fit for the program and the Saddleback community, where members are encouraged to create balance in their daily routines. Similarly, James P. Sargen, founder of TriActive America, chose his company’s name to reflect the three major benefits of fitness: a healthy mind, body and spirit. 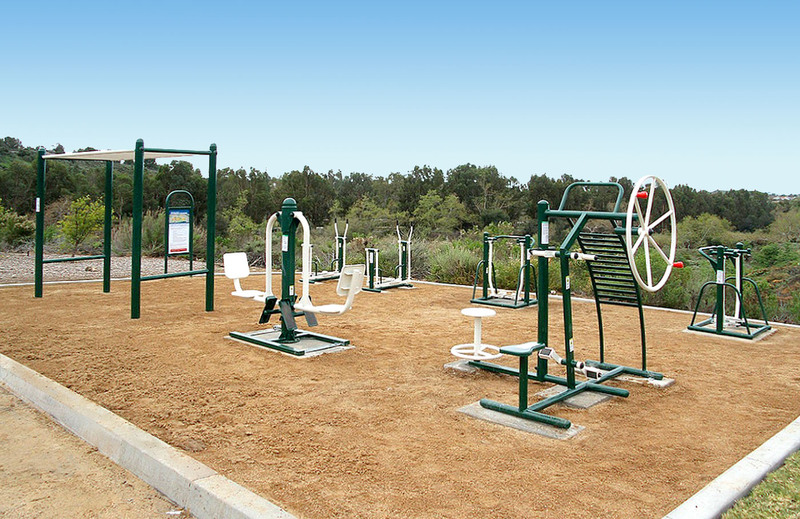 Recognizing that not everyone could afford a gym membership, however, Saddleback elected to install 19 different pieces of TriActive America’s equipment along a half-mile course that includes five "zones", or stations, each targeting separate muscle groups. And it’s totally free of cost to use by the surrounding community. Just like an indoor gym, the five fitness zones are designed to help improve strength, endurance and flexibility. But the greatest benefit comes in combining this with the natural boost users experience simply from being outdoors. Research published in the journal of Environmental Science and Technology shows that as little as five minutes of green exercise improves both mood and self-esteem. According to Psychology Today, access to green areas has also been shown to enhance cognitive functioning, reduce stress, improve sensory and motor skills in both children and adults, and ameliorate the symptoms of attention deficit hyperactivity disorder in children. With that knowledge, it is easy to see why so many people are taking advantage of the innovations TriActive America has made. Since 2004, the company has developed and manufactured leading edge exercise equipment for outdoor use, continually adapting its products for new markets such as physical therapy and partnering with medical professionals to enhance its designs. The TriActive America installation at Saddleback Church is one of several located across the United States and around the world. To date, over 3000 other TriActive America fitness products have been included in Fitness trails, Fitness Zones and outdoor gyms installed in parks, schools, universities, community centers, resorts, hotels, golf courses, YMCAs, military installations, private homes, medical facilities, cruise ships, and camps. Equipment is sold and distributed through sales agencies across the country. For more information, call or visit the website at http://www.TriActiveAmerica.com. Fitness Zone 4 at Saddleback ChurchThis is one of the large fitness zones installed on the Lake Forest Campus. Fitness Zone 5 at SaddleBack ChurchThis fitness zone 5 allows access for wheelchair users as well. Triactive AmericaTriactive America, Inc.